‘Tis the season of giving–and with this wonderful book, New York Times bestselling author Anne Perry shares a brand-new holiday mystery filled with bygone relationships and hidden secrets. 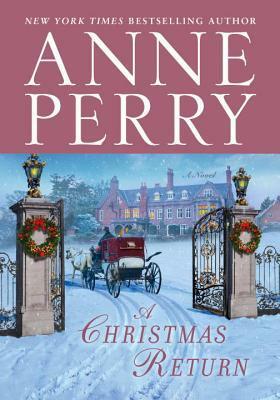 A bit related to the Charlotte and Thomas Pitt series, this is Ms. Perry’s Christmas novella for this year. A Historical Fiction murder mystery, one that happened many years ago. When a mysterious package arrives for Mariah, with a letter that an old friend needs her assistance, Mariah must go back to the past and relive some not so pleasant times. Mariah has never been the most pleasant person on the block, and here we find out why. A lot of secrets and the power of standing up and telling the truth no matter the consequences. It was a delightful and short read! A Little Girl’s Heart and a Chance to Help! It’s her Christmas novella. Very sweet! Ooh, I like Anne Perry. I have read almost all of books except the war kind of series.